ST. PETERSBURG, Fla. — A St. Petersburg woman has died after a piece of metal crashed through the windshield of the car she was riding in while traveling along the Howard Frankland Bridge. 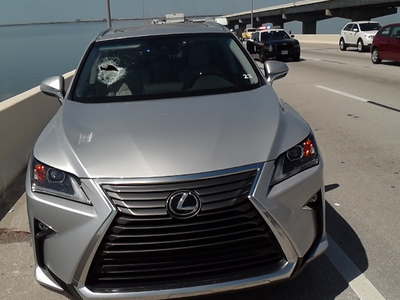 The Florida Highway Patrol said Glenn Musto, 62, and his passenger, Margaret Musto, 65, were driving north on I-275 in his 2017 Lexus RX300 on April 4. 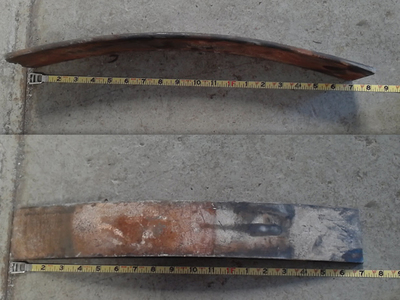 As they approached the hump of the bridge, a red sedan, driving in front of them, ran over a piece of metal approximately 18 1/2 inches long. This caused it to fly into the air, hit the hood of the Lexus and break through the windshield — striking Margaret. Troopers said Glenn was able to take control of his car and stop on the shoulder of the road. Margaret was transported to St. Joseph’s Hospital — where she died on Saturday, April 14 from her injuries. It is still unclear where the piece of metal came from, but troopers are investigating. Musto's husband told ABC Action News that his family is devastated. They are taking the news day by day.